The Technological Institute of Castilla y León (ITCL) is a private non-profit foundation, established in 1989 that aims to promote and facilitate the use of technology as a competitive tool for industrial enterprises and other organizations, using the units of knowledge and know-how as a competitive strategy, with a commitment to integration in the science-technology-company-society. ITCL’s Energy Technologies Department mission is to implement technological and non-technological innovative solutions in production facilities to improve energy efficiency, reducing cost so competitiveness is increased. The Carbon Trust is an independent, expert partner of leading organisations around the world, helping them contribute to and benefit from a more sustainable future through carbon reduction, resource efficiency strategies and commercialising low carbon technologies. Our mission is to accelerate the move to a sustainable, low carbon economy. To have real impact we act as a catalyst, making the case for change to businesses, governments and civil society worldwide. The Cyprus Energy Agency is an independent, non-governmental, non-profit organization, founded in 2009 for carrying out activities related to the promotion of renewable energy, energy saving and sustainable transport and urban mobility. The establishment and the operation of the Cyprus energy Agency was co-financed by the European Commission through the program “Intelligent Energy for Europe” and the Union of Cyprus Communities, for three years. Clean Technology Centre, Cork Institute of Technology, has a distinguished record of expertise and experience in waste prevention and resource efficiency. Since its inception in 1992, CTC has been active in development and testing of techniques and mechanisms in this field. CTC has published several seminal publications for Ireland, including: Roadmap for a National Resource Efficiency Plan for Ireland (2015); A Study of Pay-by-Use Systems for Maximising Waste Reduction Behaviour in Ireland (2011); Investigation into why existing environmental technologies are underused (2007); Material Flow Accounts (MFA) – Demonstration for Ireland (2006); Assessment and development of a waste prevention framework for Ireland (2004). OIEau employs 52 engineers and 25 technicians in permanence, and has a total workforce of 110 persons. The Training Centre organises 500+ training sessions for 5,500+ water professionals each year. The Department of Studies provides services and carries out projects related to the implementation of water policies at national and European scales. The Department of International activities is dedicated to assisting countries and institutions in building their own capacities for administrative organisation and training, by providing them with institutional expertise and advice, with professional, administrative and technical training programmes (also the implementation of local training infrastructures), or with an expertise for organising observatories, monitoring networks and databases. Smart Future is an ESCO certified to UNI CEI 11352:2014. We are licenced by the Italian Regulatory Authority for Electricity, Gas & Water. Our vision is simple: we believe that sustainability makes economic sense and that by implementing a strong sustainable strategy an organisation will waste less, be more competitive and more profitable. Smart Future supports organisations in identifying specific goals for improving energy use and emissions reduction targets and helps incorporate these objectives into overall business strategies. Smart Future designs, develops and implements web based Energy Measurement and Energy Management services. Greenflex has been convinced since 2009 that businesses should make a positive contribution to the world’s evolution through their transformation. The group helps accelerate the transition and reduce environmental and societal costs with a view to tackling the major challenges facing businesses, offering support from developing strategy to taking action for a future of optimal performance, a ” Good Future “. In a bid to continue development in France and abroad and to build a framework for the future, GreenFlex has chosen to team up with Total in 2017. Now fully integrating climate issues into its strategic choices. This merger will allow GreenFlex to drive its original mission forward: connecting the economy to ecology as far as possible, turning environmental and societal transition into an opportunity, an asset and a competitive advantage for companies. SOCAMEX is a water engineering company that belongs to the Urbaser Group, being its brand specialized in water. SOCAMEX covers the entire integrated water management cycle; providing safe, reliable, and sustainable water services to our society. Their range of solutions includes works in the area of design, construction, management and operation of wastewater treatment plants and drinking water treatment plants, water and waste treatment installations, as well as technical assistance to companies, municipalities, and communities. WINGS ICT Solutions is a fast growing SME which focuses on conducting R&D activities and providing consulting services in all areas related to ICT and verticals. WINGS pursues research and prototyping achievements in the areas of smart wireless access; device management; Cloud-IoT-wearables-embedded systems; software networks/ NFV/ management & orchestration; big data & predictive analytics and development of applications and services. WINGS is also active in vertical sectors including Energy; Water; Health; Transport. As part of its strategy, WINGS aims at offering the incubation, technology and services, as well as at attracting investments for independent businesses that will be created for the exploitation of commercialization of its mostly mature, validated and demonstrated prototypes. As a latest example, WINGS has raised a seed private fund for creating a spin-out of a company that is targeted mainly in “Machine learning-powered networks”. WssTP is the European Technology Platform for Water. 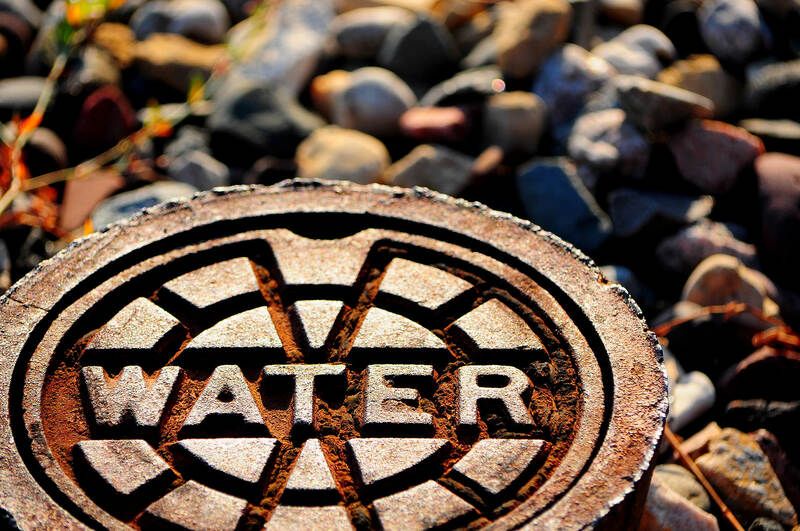 WssTP strives to increase coordination and collaboration on water-related challenges, and to increase the competitiveness of the European water sector and allied sectors. WssTP uniquely represents the full diversity of the water value chain including industry, research, utilities, technology providers, and water users. With 90% of the global economic activity dependent on water, the sustainable and innovative management of this resource is key to our future.